There is NO difference between a $100 HDMI cable and a $3 HDMI cable. The salesperson may try to confuse you, but just remember that your only paying more for the same exact thing. Now tell me, did you understand any of that? Probably not. This is how they like to confuse you by telling you about all these great technologies they put into their cables. They’ll even tell you that these same technologies are “worth” $100 retail. In fact, the profits made from overpricing these cables are astounding. These cables shouldn’t cost you more than $5-$10 at the most, yet “Popular” brands will make nearly 80%+ profits on each cable they sell. Ok, so now you know that your being tricked. Here’s why there is no difference between a $100 HDMI cable and a $3 HDMI cable. HDMI cables use what is called TMDS (Transition Minimized Differential Signaling). TMDS is a technology for transmitting high-speed serial data. HDMI cables send the information in two different ways. 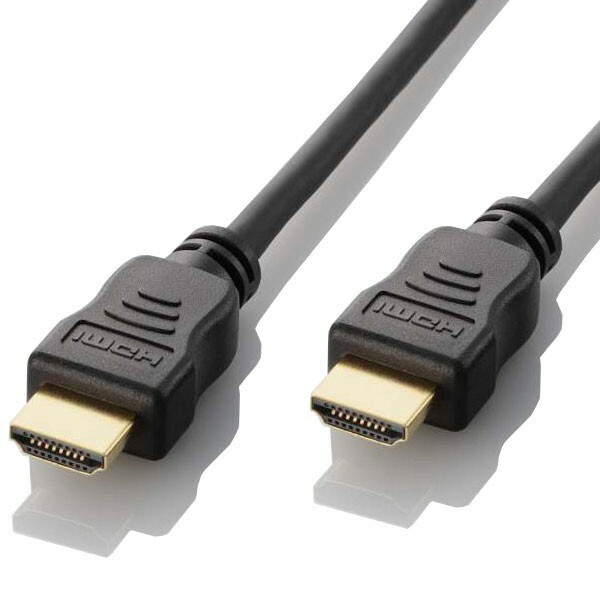 The HDMI cable sends out a signal, similar to a computer in series of 1s and 0s. At the source (Blu-Ray Player) The signal may be arranged 10101010. Once the information is fed through your cable, the series may look more like 11110000. It does this so that the number of transitions is minimized. The second part of the DS is from the cable itself. Each and every HDMI cable uses small copper wires. Two versions of data are sent over the cables. One of the versions uses an “out of phase” which is the real signal. Your TV receives the signal and puts the out of phase back into phase and compares the two signals. If there is any noise that is picked up, it is ignored. This is probably all you need to know for now. If you’re snoozing by now, I understand. Just know this: the signal is digital. It either works or it doesn’t. Because the cable is digital, it doesn’t have the same problem as traditional cable box cables. Cables as you know them can get static and create snow in the picture. HDMI cables simply don’t have this problem. Either the signal works or it doesn’t. There is no snow. There is no need for gold-plating, high density shielding, large gauge wires, etc. Also, don’t be fooled by claims of being “rated up to 240 Hz.” If someone tells you this to make a sale, they are lying to you. The conversion to 120 or 240 Hz is done inside the TV. There is no such thing as a 120 Hz or 240 Hz signal. Blu-ray’s 1080p/60 is the highest-bandwidth, non-computer source you can have, and even that is only 60 Hz. So save your money and buy the off brand. You and your wallet will be happier. Posted on February 26, 2012, in Deals, Home theater, TV and tagged Blu-ray Disc, BluRay, Cable, HDMI, HDTV, Hertz, High-definition television, Television, TV. Bookmark the permalink. Leave a comment.